The second generation JioPhone, the JioPhone 2 was launched on Independence Day, last month. In no time, the phone won over the hearts of the Indian feature phone buyers. The JioPhone 2 was also a big hit in the country because Jio had promised support for favourite apps like WhatsApp and Facebook on the phone. What made things even better for Reliance Jio was the presence of the BlackBerry-style QWERTY keypad which would facilitate comfortable typing on this phone. Below we take a look at the newly launched applications for the Reliance JioPhone 2. 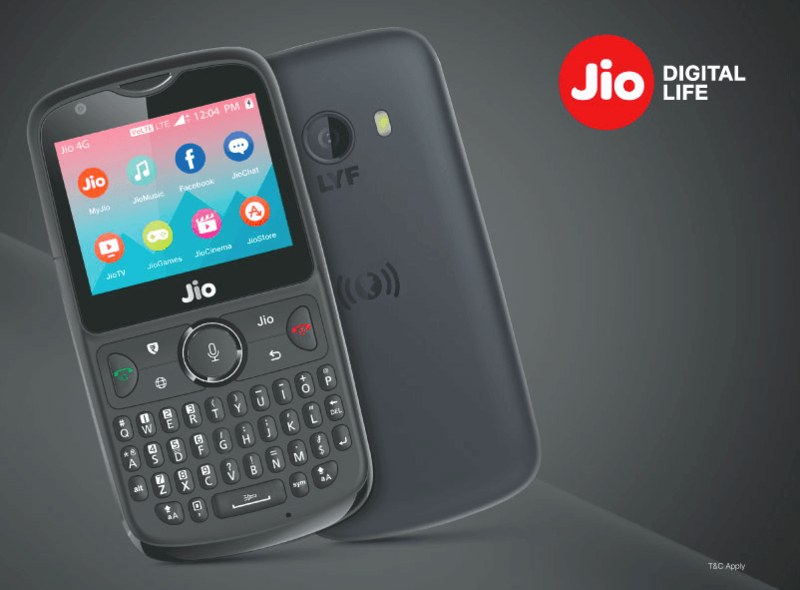 Although the JioPhone 2 does not come with all the apps which you might want, it does come with some applications pre-installed, these include Facebook, Maps, JioTV, JioCinema and JioMusic. Some applications which were not available during the time of JioPhone 2 launch are also out now and are available for download on the Jio Store. If we were to talk about the most popular and awaited application on the JioPhone 2, it would have to be WhatsApp, which has finally extended support for KaiOS and is now listed for download on the JioStore. The presence of the QWERTY keypad is strategic for the JioPhone 2 since after the launch of these applications on JioStore the JioPhone 2 is going to be used a lot for social media where the keypad is going to be of help for the users. The second app which is going to be a lot of use for JioPhone 2 users is Facebook. Now even though, the Facebook will be a barebones software on the feature phone as compared to its counterpart on Android, it is going to push a lot of new JioPhone 2 users to log in to the social media platform from their JioPhones. Also, JioPhone 2 has been promised to get Google Maps support using which JioPhone 2 buyers will be able to navigate, get real-time traffic updates and avail public transport info. For entertainment, the JioPhone 2 is going to come with a lot more apps apart from the usual offerings by Jio which include JioMusic, Jio Cinema, and JioTV apps. The JioPhone 2 is also going to extend support for YouTube, enabling users to stream and watch online videos. The BookMyShow application is going to allow users to book movie or concert tickets right from their device. Additionally, the Hotstar application is going to let users watch movies, sports, the latest shows and many more. Although the JioPhone 2 offers all the necessary applications which one might need, we have compiled a list of some highly used and supported applications on the JioPhone 2 which might suit your liking. Some of the essential applications on this list would include Gmail for receiving and composing emails, PayTm for making transactions on the JioPhone 2, Ola or Uber application for easy cab booking services, Swiggy or Zomato for ordering food. Lastly, it is our opinion that shopping apps like Flipkart or Amazon would also see a lot of traction on the JioPhone 2 given their necessity. The JioPhone 2 comes with a price tag of Rs 2,999, and it is scheduled to go live for sale on October 4, which is the next flash sale for the phone. Since the phone has been known to sell out fast, we’d recommend that you log in to the Reliance Jio official website beforehand and keep hitting refresh during the time of flash sale. Need BHIM app on KaiOS. Does JioPhone2 support USB and WiFi tethering. ?